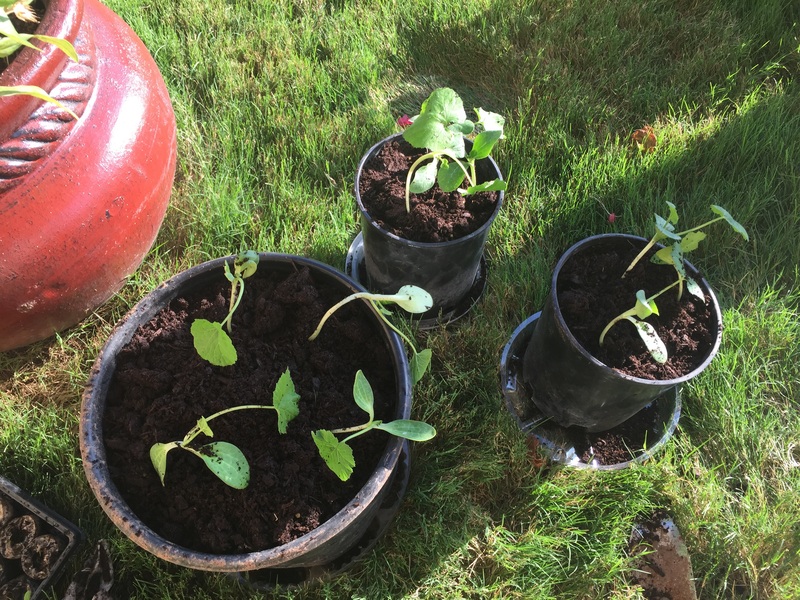 Day 8, 6:45 p.m.: Pumpkins are growing like crazy. 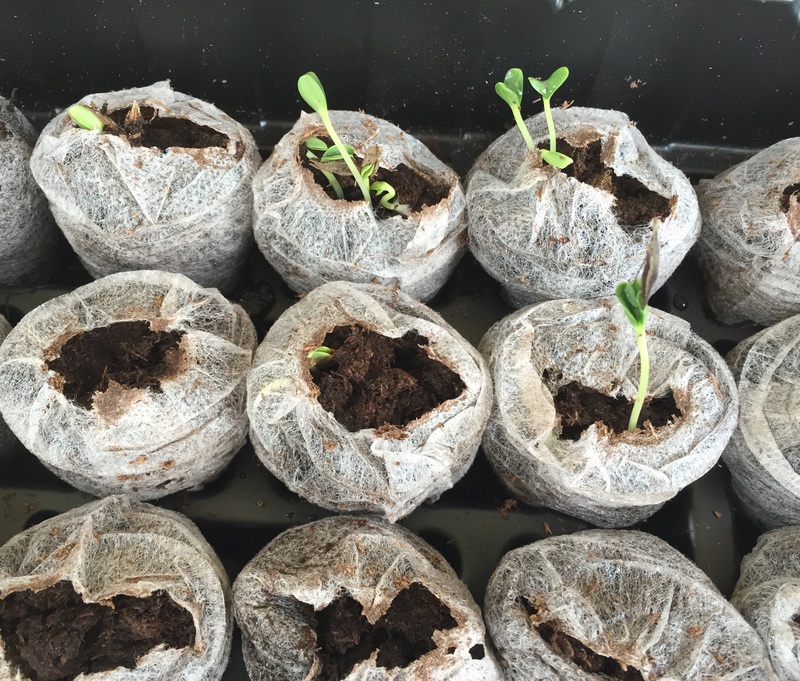 This entry was posted in Gardening and tagged Peat pellets, pumpkins, seeds on July 13, 2015 by Julie Riebe. 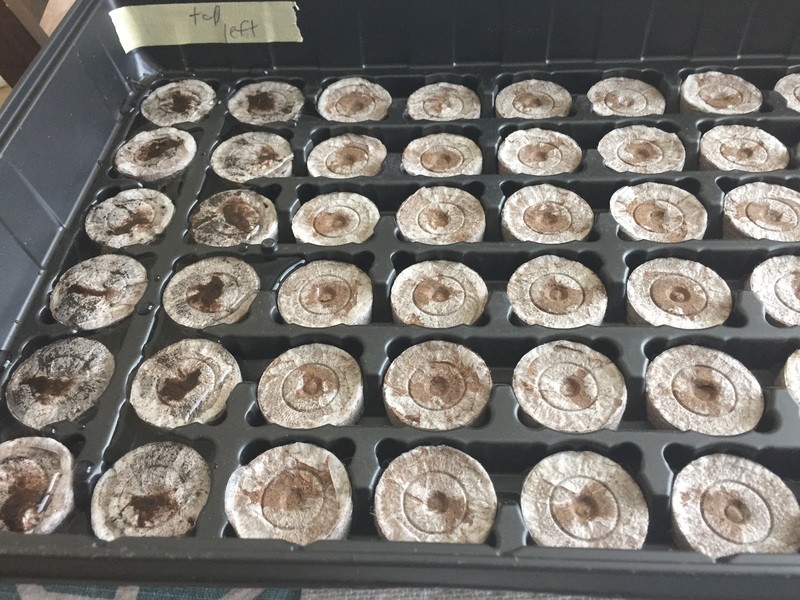 Day 4: 52 of 72 of the pellets have at least one seedling in them. This entry was posted in Gardening and tagged flowers, seeds on July 9, 2015 by Julie Riebe. 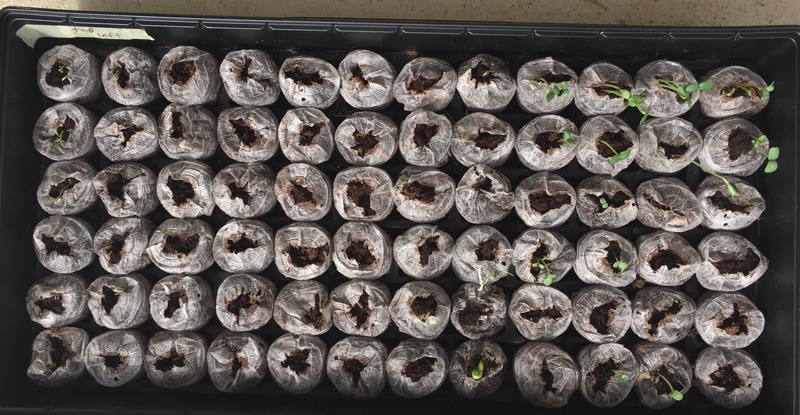 Red cherry tomato seedlings (far left) and pumpkin seeds (bottom row, middle) popped up three days after being planted. This entry was posted in Gardening and tagged flowers, seeds on July 8, 2015 by Julie Riebe. 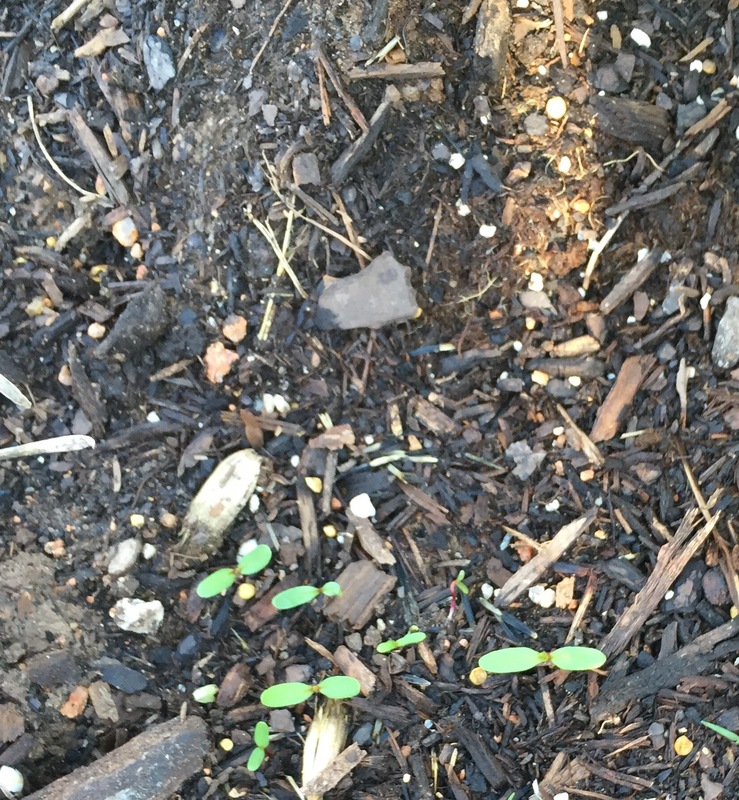 The purple zinnias are sprouting! 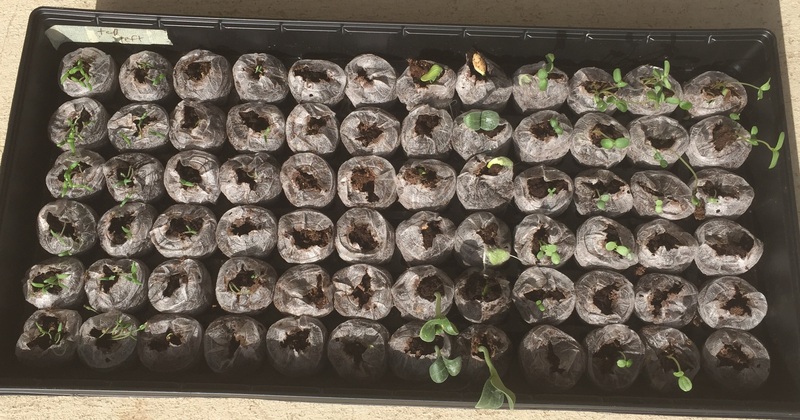 This entry was posted in Gardening and tagged peat, seeds, vincas, zinnias on July 7, 2015 by Julie Riebe.